Welcome! I am the Delaware DUI Defender, Matt Stiller. If you’ve been arrested and charged with Driving Under the Influence, or DUI in Delaware, Do NOT wait! 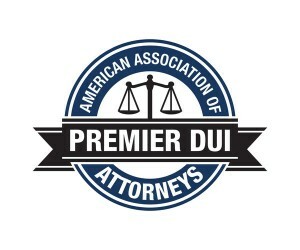 It’s important that you call us immediately if you’re looking for a DUI Lawyer in Delaware. Click or Call 1-855-TIP-THE-SCALES Today! We have offices in Dover, Delaware and Wilmington, Delaware where we serve the entire state of Delaware. If you are in a hurry, please send us a quick Email. Information on this website is intended for Delaware drivers only! NEVER DRIVE INTOXICATED OR IMPAIRED. Call a cab, call a friend, call your mom, tell the bartender you need help getting home. If you go out often, get a high quality portable breathalyzer and keep it in your car. Test yourself to make sure you’re not over the legal limit of .08 BAC before driving. The best way to beat a DUI is not to get one. If you do, please contact the Delaware DUI Defender today! NEVER ADMIT DRINKING OR USING DRUGS. DECIDE ahead of time if you’ll take the field sobriety and breath tests if you are pulled over. Once you are pulled over, the officer will probably ask you to do “field sobriety tests” on the side of the road, such as the horizontal gaze nystagmus or HGN test. This involves watching your eyes as you look from one side to the other. Another is the nine-step walk and turn test. Another test is the one-legged stand. Another test is the handheld or portable breathalyzer. The point of all these tests is to develop enough probable cause to arrest you and to take you back to the police station to receive an Intoxilyzer breath test. The Intoxilyzer is the machine used to “officially” test your breath. The Intoxilyzer test result is used as evidence in your DUI trial. WHAT IF YOU REFUSE THE TESTS? If you refuse these tests, the police officer can force you to submit to a blood test to determine if your BAC is over the limit. However, the police must first have either your permission or a search warrant to take your blood. The blood test is more accurate than the Intoxilyzer. So if you are over the limit, the blood test will be stronger evidence at trial than the Intoxilyzer. If you refuse these tests, your license can be suspended for one year, but this is NOT automatic. GOOD THINGS ABOUT REFUSING THE TESTS: In our experience, sometimes they don’t take people for a blood draw. It’s a lot more trouble. With no blood and no breath, there’s really not much evidence to support the State’s criminal case (you’re probably still going to lose your license through DMV). If they do take you for a blood draw, the evidence becomes more complicated for the prosecutor because she may have to bring in the people who drew your blood to testify and they have more important things to do… such as treating patients. Also, the field sobriety tests are set up for you to fail. The officer determines in his own subjective opinion whether you pass or fail. Why would you take a test you are destined to fail? PAY ATTENTION if you take the breath test. The officer must be close enough to you for at least 20 minutes immediately preceding the test to tell if you belch, burp or vomit. Do not hold your breath (hypo-ventilate) immediately prior to blowing as this will increase your blood alcohol content reading. Inversely, rapidly and deeply breathing in and out (hyper-ventilating) immediately prior to blowing will produce a lower blood alcohol content reading. Notice if there is a camera in the room. If so, ask the officer if it can be turned on as soon as you see it. You want the tape rolling. The police do not! Notice whether or not other appliances are plugged in to the same outlet as the Intoxilyzer 5000 EN breath test machine. PAY ATTENTION if you’re given a blood test. The phlebotomist must gently invert each test tube of blood at least five times before putting them in and sealing the envelope. The phlebotomist must NOT shake the tubes vigorously or this can cause an elevated reading due to clotting in the sample tubes. Try to notice whether or not the expiration date on the blood test kit has passed. Try to notice how much blood was extracted into each tube. ALWAYS be respectful towards the officer who has pulled you over. Police officers regularly see the absolute worst our society has to offer – don’t give them a reason to think you fall into that category. Just like you, they have feelings too. So treat them as you would want to be treated. Never get verbally or physically abusive towards a police officer who has pulled you over. If your case goes to trial, do you really want the jury hearing all of the names you called the police officer? James Mathews Stiller, Jr. ("Matt") is an Associate Attorney with Schwartz & Schwartz, Attorneys at Law, P.A. With offices conveniently located in Wilmington, Delaware and Dover, Delaware , Matt Stiller is able to represent clients in every court in the State of Delaware. 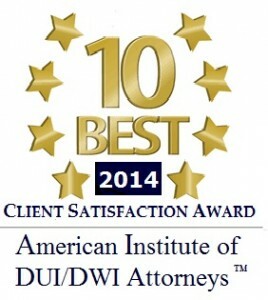 Thank you for trusting Matt Stiller, "The Delaware DUI Defender" to handle your DUI case in Delaware. "I am the Delaware DUI Defender!" Copyright (c) 2019 - The Delaware DUI Defender – Matt Stiller. All rights reserved. If you have been arrested for Felony DUI in the following Delaware cities, Matt Stiller, "The Delaware DUI Defender", is only a phone call away! Call 302-678-8700 or 1-855-Tip-The-Scales right now. Bear, Bethany Beach, Bethel, Blades, Bridgeville, Camden-Wyoming, Camden, Cheswold, Christiana, Clarksville, Claymont, Clayton, Dagsboro, Delaware City, Delmar, Dewey Beach, Dover, Edgemoor, Ellendale, Elsmere, Farmington, Felton, Fenwick Island, Frankford, Frederica, Georgetown, Greenville, Greenwood, Harbeson, Harrington, Hartly, Hockessin, Houston, Kenton, Kirkwood, Laurel, Leipsic, Lewes, Lincoln, Little Creek, Long Neck, Magnolia, Marshallton, Marydel, Middletown, Milford, Millsboro, Millville, Milton, Montchanin, Nassau, New Castle, Newark, Newport, Ocean View, Odessa, Port Penn, Rehoboth Beach, Rockland, Saint Georges, Seaford, Selbyville, Smyrna, Stanton, Talleyville, Townsend, Viola, Wilmington, Winterthur, Woodside, Wyoming, Yorklyn, Delaware.